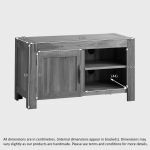 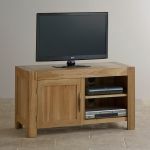 The Alto Solid Natural Oak TV + DVD Cabinet is designed to raise your television set up to a comfortable viewing height and make the most of the space beneath. 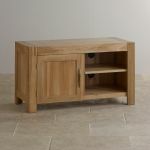 Made using only beautiful solid oak timbers throughout, it features two deep shelving areas and a generously-sized cupboard for CDs, DVDs and games. 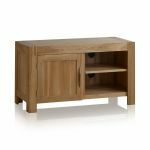 The chunky design is distinguished by eye-catching finger joints which add interest and most importantly, strength, to the frame. 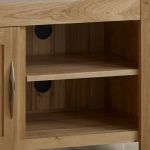 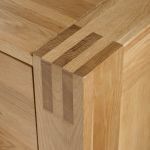 The cupboard space is divided by a solid oak shelf for maximum storage capacity, and at the back of the shelving area you'll find a neat exit hole for any cables and wires. 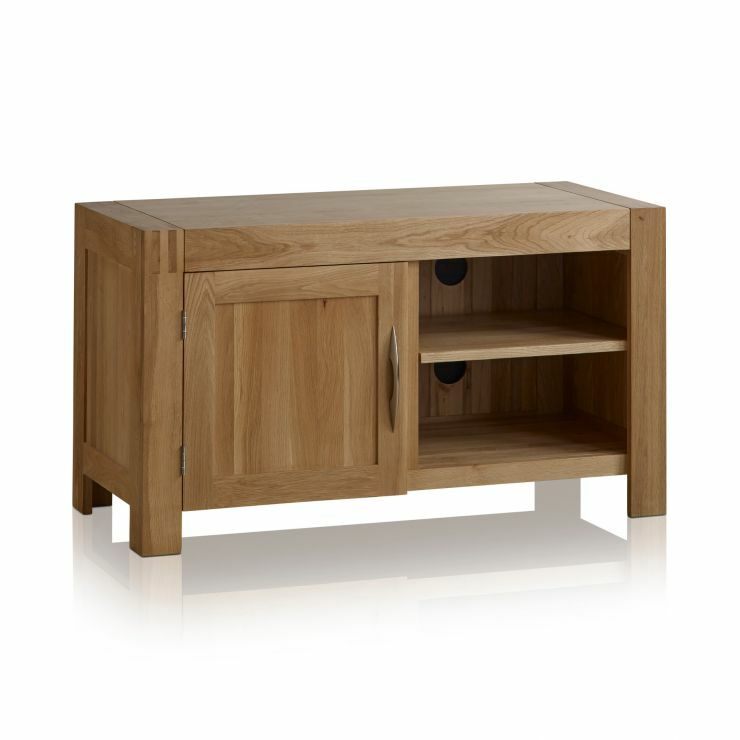 Other quality touches include a curved brushed metal handle, inlaid panels and a hand-waxed finish for natural lustre.